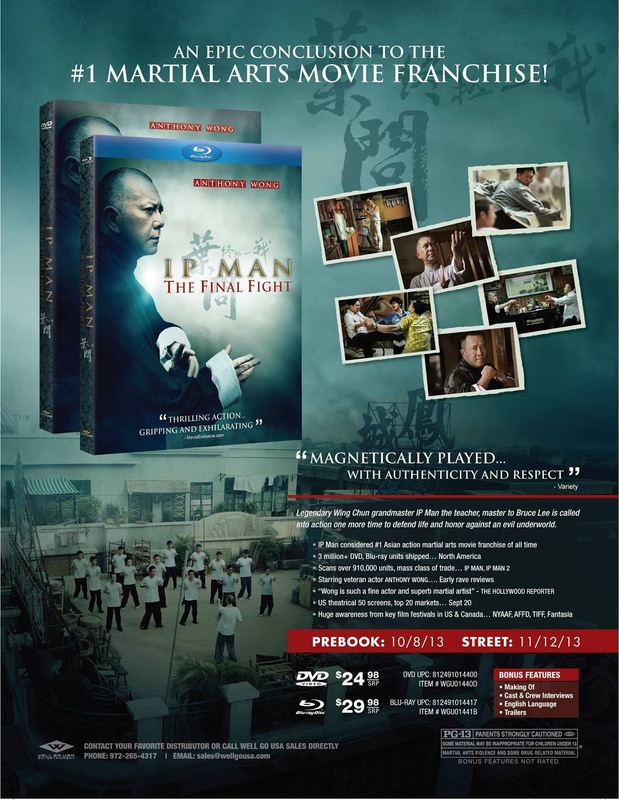 The saga of the Ip Man, Wing Chun master Yip Kai-man, comes to an end on Nov. 12 when Well Go U.S.A. releases both Blu-ray and DVD editions of filmmaker Herman Yau’s Ip Man: The Final Fight. Presented in Cantonese, with English subtitles, this final film in the series details his life in post-war Hong Kong, a period of much turmoil and world-shaking transitions. His relationship with his son and apprentice Ip Chun is explored, a series of fantastic set pieces that recall his former glory are staged by filmmaker Herman Yau and a bittersweet ending with thoughts of his protégé, Bruce Lee, are a fitting conclusion to his life story. Virgil Films & Entertainment provides the chills on Dec. 10 with the DVD debut of writer/director Teddy Schenck’s atmospheric mystery thriller, 7E. For his debut effort as a director this is one sweet production that belies both the budget and Schenck’s “experience” as a filmmaker. 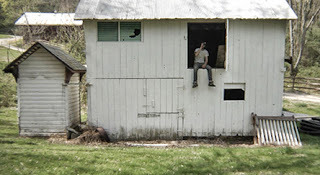 He’s actually quite the technician having served on both feature films and TV series (The Good Wife, for example) as a location scout and production assistant … he’s learned his craft from getting his hands dirty and logging the hours. He’s also — it would appear — made some friends along the way. He’s landed James Russo, Brendan Sexton III and Natasha Lyonne as his leads with veterans John Savage and Armando Riesco in key supporting roles. At the core of this thriller is Sam (played by James Russo — The Box, Django Unchained, etc. and as Anthony 'Red' Cervelli in the recent Vegas TV series), a New York City apartment dweller who suddenly finds himself involved in the mystery surrounding the strange death — and the creepy going’s on — of a fellow tenant. His downstairs neighbor, Clyde (Brendan Sexton III), seems to be at the center of it, but with Schenck’s slick script and nifty miss-directions, you can never be sure if Sam is the man at the bottom of Clyde’s problems … or the target thereof. It will keep you guessing! 20th Century Fox Home Entertainment has given the DreamWorks Animation film Turbo a Nov. 12 street date, offering up DVD, Blu-ray/DVD Combo Pack and a monster 3D/2D Blu-ray/DVD Combo Pack. The ARR works out to 116 days and ticket sales at the local multiplex this past summer were $81.1 million. 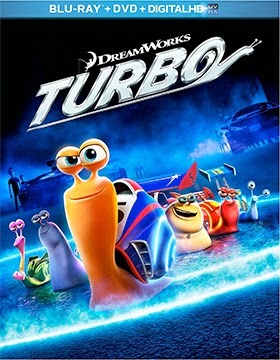 This animated comedy follows an everyday garden snail who becomes super fast after a freak accident. Next stop: the Indianapolis 500. Ryan Reynolds, Paul Giamatti, Michael Peña, Snoop Dogg, Maya Rudolf, Michelle Rodriguez and Samuel L. Jackson all lend their voice talent. The Blu-ray/DVD Combo Pack and 3D/2D Deluxe Edition will come with a “Smoove Move’s Music Maker” feature, “Meet Tito,” “The Race,” “Shell Creator,” “Champions Corner,” “Be An Artist!” and “Team Turbo: Tricked Out” featurettes, along with a trailer for the “Turbo F.A.S.T” TV series (debuting this December), sneak peaks of available DreamWorks Animation films and music videos from DreamWorks films. 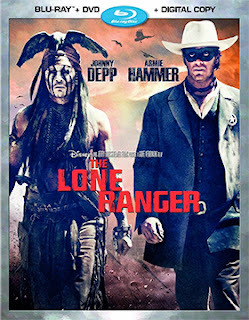 Walt Disney Studios Home Entertainment has chosen the week before Christmas (Dec. 17) to street The Lone Ranger (the ARR is 165 days and the box office tally was $89 million) on both DVD and as a Blu-ray/DVD Combo Pack. 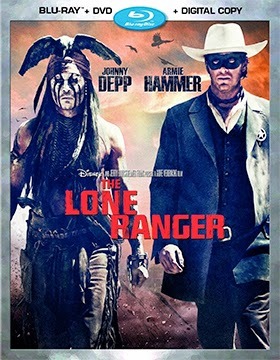 Much maligned for its box office performance (and bloated budget), The Lone Ranger has yet to be seen by all that many people, thus a home entertainment push just in time for Christmas offers the studio an opportunity to remedy that. There are too many cool things in this movie to pass up: non-stop action, train rescues, gun battles and Johnny Depp as Tonto (well, you be the judge on that one). Disney packs the Blu-ray with tons of bonuses, including “Riding The Rails Of The Lone Ranger,” detailing the creation of a railroad track for the film; “Armies’s Western Road Trip,” which sees Armie Hammer (The Lone Ranger) guiding viewers on a tour of the locations; and “Becoming A Cowboy,” which shows how the cast was trained to shoot and ride; plus more. 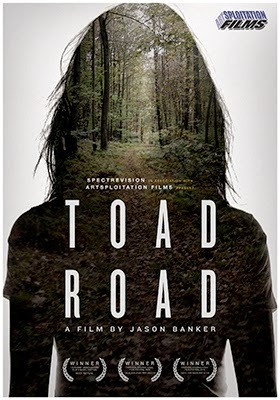 Artsploitation Films has tabbed Dec. 10 as the DVD debut date for writer/director Jason Banker’s Fantasia International Film Festival winner, Toad Road. A showcase theatrical break is also planned beginning on Oct. 18 to garner media attention and to raise the already electric buzz levels for this film even higher. On the surface it appears that James (James Davidson) is just a slacker and a druggie destined for an overdose one day or the headliner in one of those bizarre “News of the Weird” stories — you know, “James, wondering if there was any gasoline left in the seemingly empty gas can, struck a match and took a look inside.” You can fill in the rest it. Indeed, James would fit right in with the crew of Jackass … “Hit me in the head as hard as you can and let’s see what happens!” Sure enough, someone will. She’s a sweet, attractive young woman, who could be doing more with her life, but this is her big plan of the moment (word is that she actually died of a drug overdose after the film was completed … but we can’t be sure if that is true, or just hype). Now the “Toad Road” myth revolves around an old nut house out in the woods whose gates — seven of them — are the only thing that remains and word is that as one passes through each of them strange things will begin to happen. 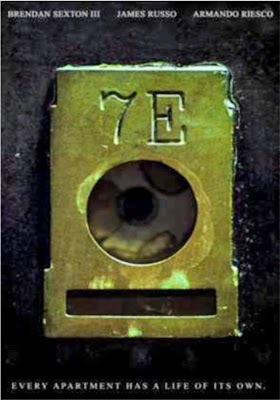 If you pass through the seventh gate, you’ve actually reached a portal to hell. Of course it is all a bunch of silly nonsense, but when drugs are involved and the participants in this little trek are both high and bored, anything can happen! The Criterion Collection, with sales and distribution support provided by Image Entertainment, will be anchoring its four-strong December release schedule with a pair of Blu-ray releases from well known auteur filmmakers. 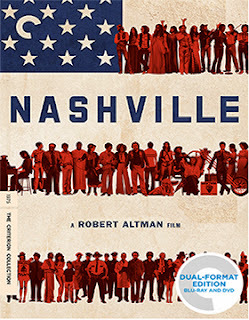 Up first on Dec. 3 is a newly restored Blu-ray/Double-DVD Combo Pack of director Robert Altman’s 1975 Best Picture/Best Director nominee, Nashville. Included as bonus goodies are a vintage commentary track from Altman, a newly prepared documentary on the film featuring insights from actors Keith Carradine (Oscar-winner for his song, “I’m Easy”), Michael Murphy, Lily Tomlin and Allan Nicholls, plus scripter Joan Twekesbury and assistant director Alan Rudolph, behind the scenes footage, demos of Keith Carradine singing and a vintage interview with Altman. 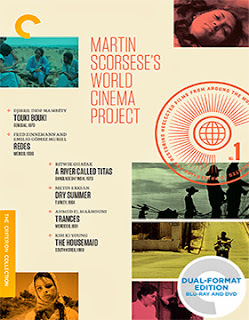 The following week, Dec. 10, look for the nine-disc (three Blu-rays and six DVDs), six-film SKU titled Martin Scorsese's World Cinema Project. This intriguing collection showcases six international films that have been restored and brought to the collector’s market under Scorsese’s World Cinema Project (launched in 2007). Included in the mix are: Touki Bouki (Senegal, 1973, in Wolof … directed by Djibril Diop Mambéty), Redes (Mexico, 1936, in Spanish … co-directed by Emilio Gómez Muriel and Fred Zinnemann), A River Called Titas (Bangladesh, 1973, in Bengali … directed by Ritwik Ghatak), Dry Summer (Turkey, 1964, in Turkish … co-directed by Metin Erksan and David E. Durston), Trances (Morocco, 1981, in Arabic … written and directed by Ahmed El Maanouni) and The Housemaid (South Korea, 1960, in Korean … directed by Ki-young Kim). Also heading home on Blu-ray in December from Criterion are Italian filmmaker Elio Petri’s 1970 Cannes Film Festival Grand Prize-winner, Investigation of a Citizen Above Suspicion (a Blu-ray/2 DVD Combo Pack release on Dec. 3), and the double-feature presentation of Grey's Gardens and The Beales of Grey Gardens (Blu-ray on Dec. 10). There are some things that are best left to distant memories and the past. 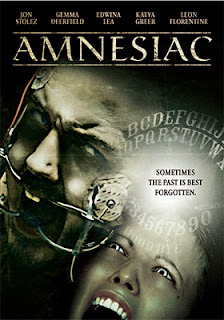 Sadly, Kate Faulkner (Gemma Deerfield — Marvin’s Song, The Kindness of Strangers, Breathe) can’t let the trauma of the tragic death of her child go … and that will be her undoing in director Martin Rutley’s Amnesiac, due out on DVD from Midnight Releasing on Nov. 5. She is basically going off the deep end, so her sister Bec (Edwina Lea) cuts her a deal in a desperate attempt to get her some professional help. 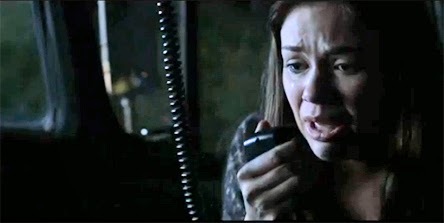 She’s agrees, with her boyfriend Thom (Leon Florentine) in tow, to participate in some mumbo jumbo with a Ouija Board in the dead child’s room — contacting dead spirits — and in exchange Kate will seek out psychiatric help for her out of control depression. Now you have to imagine that any reasonable person would cut the exact same deal. Come on, it’s a Quija Board … a little “yes” and “no” crap, spell out a few meaningless phrases and then it’s off to the doctor’s office and a basketful of prescriptions for some much needed meds. What could go wrong? In Amnesiac, plenty! The sister’s bizarre Quija Board session conjures up a malevolent spirit (played by Jon Stoley) trapped in some hellish afterlife. With the connection made, it is now possible for “it” to crossover and the trio soon learn that they are faced with an entity known as Wyke Wreake, a 17th Century mass murderer of children! Breaking Glass Pictures announced this past week that writer/director Jon Garcia’s The Falls: A Testament of Love, the much anticipated follow up to his 2012 hit, The Falls, will be making its DVD debut on Nov. 26.
RJ (Nick Ferrucci) and Chris (Ben Farmer), the young Mormons who fell in love while on their mission, are back for this sequel. In the first film their “coming out” is discovered and the two head home to an uncertain future and plenty of things to explain to their respective families. It’s now five years later and life goes on, but through a series of unexpected events the two suddenly find themselves back together — older and wiser — but still faced with the same difficult issues of sexual orientation, their faith and the feelings of their friends and families. Bonus features for the DVD release of The Falls: A Testament of Love include deleted scenes, a photo gallery, interviews with filmmaker Jon Garcia and members of the cast, plus a Q&A session from the film’s world premiere at the Portland Lesbian and Gay Film Festival. Paramount Home Media Distribution has added two new TV-on-DVD collections to its December release calendar … just in time for the Christmas gift-giving season. 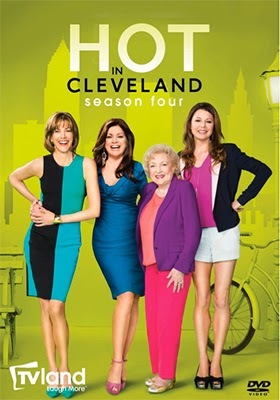 Up first on Dec. 3 is the three-disc set of Hot in Cleveland: Season Four, starring Valerie Bertinelli, Jane Leeves, Wendie Malick and Betty White, plus a plethora of guest stars, including the likes of Heather Locklear, William Shatner, Kirstie Alley and Carol Burnett. All 19 episodes of this football-themed spinoff of the Girlsfriends series, The Game: The Sixth Season, will be available the following week, Dec. 10, a three-disc collection. Bonus goodies include a gage reel and deleted scenes. Hugh Laurie is perhaps best known as the caustic Dr. Gregory House on the hit television series House. He’s a damn good actor, with a sharp wit, but he’s also an accomplished musician — piano and guitar — and a singer. Eagle Rock Entertainment has added DVD and Blu-ray product offerings of his Mar. 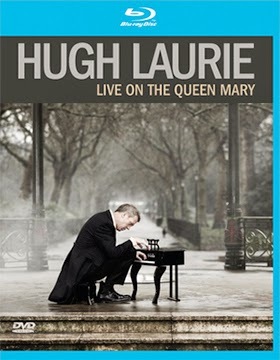 2013 live concert — that was staged on the iconic Queen Mary (moored as a tourist attraction in Long Beach, California) — to its Oct. 22 release calendar. 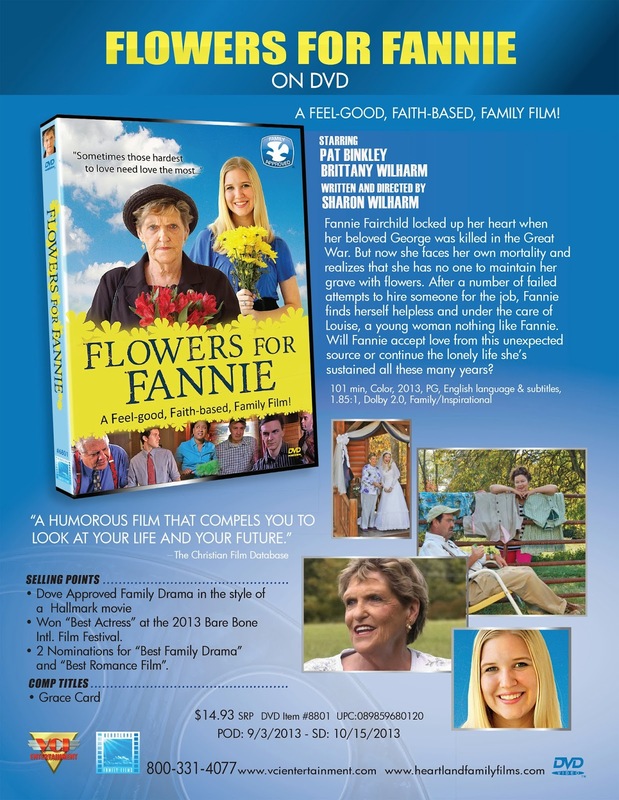 Bonus features include the documentary titled “Copper Bottom Blues” and a video interview with Laurie. 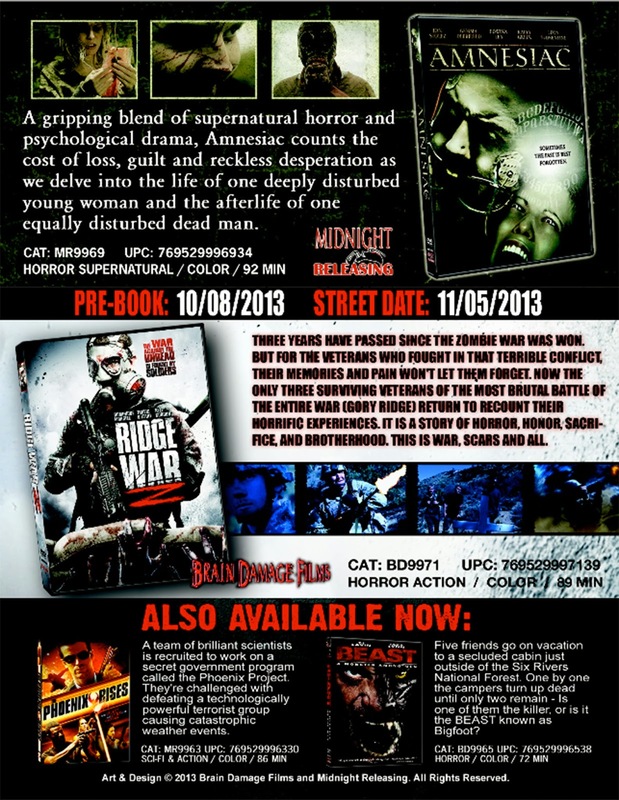 Image Entertainment has a “talk-to-the-screen” thriller planned for a DVD rollout on Dec. 17. 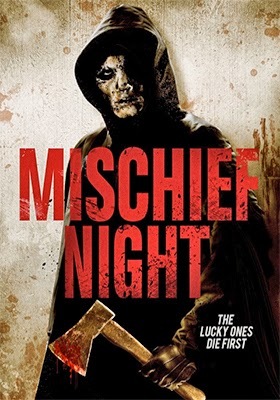 That would be director Richard Schenkman’s Mischief Night. If a filmmaker does it just right and keeps the suspense building — without padding — you can literally have the audience start offering advice … “No, no, don’t go in there.” “Look behind you! !” “Run!! !” That’s what Mischief Night is … a “talk-to-the-screen” thriller. For film buffs the references to Wait Until Dark abound. For those unfamiliar with that film, back in 1967 filmmaker Terence Young crafted a nifty thriller that starred Audrey Hepburn as a blind woman being terrorized by a trio of drug dealers and murderers (Alan Arkin, Richard Crenna and Jack Weston). She must somehow overcome their brutality — despite her obvious disadvantage — in the confines of her apartment if she is to survive. With Mischief Night, we are introduced to Emily (Noell Coet — as Beth in the Revelation Road film series), who has gone blind after a traumatic event in her life and finds herself recovering from the ordeal in a large Victorian-style home owned by her father. On the eve of Halloween (for atmosphere), there is a mysterious intruder who breaks into her home and begins stalking her — we have not a clue as to what this is all about and since she cannot see, she’s oblivious to his presence (but we “see” everything). A behind the scenes production featurette is the only bonus nugget at this time.